Trump's National Appointee is a Black Tea Party Favorite, Miracle Worker? 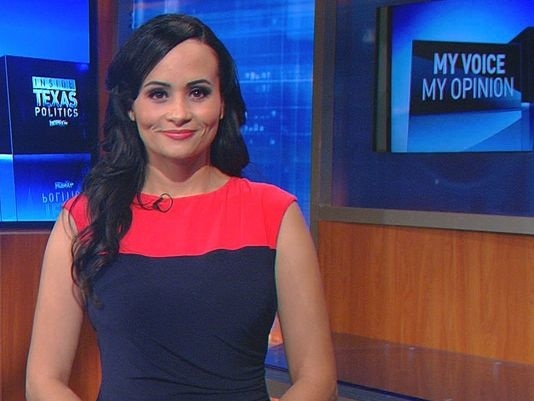 Mr. Trump’s National Spokesperson is a Woman of Color from Garland, Tx. 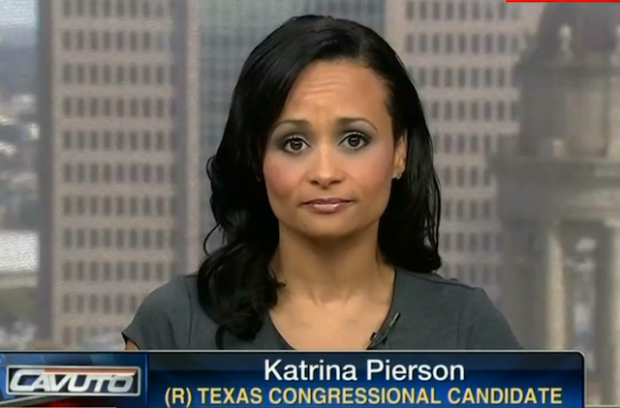 GARLAND, Tx--- Donald Trump fairly quietly, last week, appointed Katrina Pierson to be his new national spokesperson. She is a successful political campaign maven, public speaker, media presence, and now the newest representative of a man who, fancies himself a bona fide candidate for president. In a campaign often riddled with gross faux pas, immolative rhetoric, bigoted commentary, incredible mockery of people with disabilities, misogynistic insults, broad hyperbole, and shocking, xenophobia-fueling, “scary-talk”, will Ms. Pierson’s appointment make a difference? ​The campaign suffered, yet another, damning pie-in--the-face moment last week,, as the reputed 100 black clergy, reportedly appearing to offer Mr. Trump a, full-throated, endorsement following a meeting--- all seemed to respond in unison, that there is no endorsement on offer. Evidently, that there never has been. Near midnight Monday morning, it came to light that the castigation of the candidate by those clergy he seemingly attempted to use as pawns, and for manipulative purposes was so intense, that the press conference for that day was canceled by the campaign. This writer watched as the formidable Ms. Pierson was taken to task about the cancellation, and the importance of accuracy in statements in print, from the campaign, by CNN’s Alisyn Camerota on live television, early on Monday morning. Ms. Pierson performed to expectation. That said, can a figurehead conceivably create a mulligan on a course where the golfer is 80 over par? It seems apparent that the GOP, or at least the Trump campaign therein, certainly hope so. “Katrina is a great addition to our team as we continue to expand throughout the country. Katrina understands the need for real change in Washington, D.C. and the importance of competence in the next election,” said Trump in a written statement. According to the Pierson Consulting Group website, Ms. Pierson is reported to have copious experience “managing executives, managers, and staff in multi-facility operations with million dollar budgets that involved extensive public relations, general consulting, marketing, government affairs, donor relations, crisis management, talk radio, and broadcast media.” So this qualifies her as a laureled, plain-sight, consulting “gun for hire” for campaigns in peril. She is a specialist. An expert. She is, apparently, a “fixer”. A “cleaner” in political parlance. Ms. Pierson’s consultant site also states, “Katrina ran for congress in the 32nd distrct [sic] of Texas and became Governor Sarah Palins [sic] first endorsement of the 2014 election cycle. “Ms. 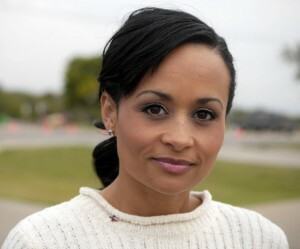 Pierson obtained a Bachelors degree in Biology from the University of Texas at Dallas. She is well known as a political analyst and media contributor on a wide range of issues including the state and federal budgets, civil liberties, community organizing, and health care. She has shared the stage with top conservatives including Senator Jim Demint, Senator Rand Paul, former House Speaker Newt Gingrich, and U.S. Senator Ted Cruz. She is successful in her milieu. Kudos. What appearance(s) comes to mind, fairly, or rather less so, when tallying the pedigree of an individual, and their current mode of bread-winning, and professional achievement? Is she a sanctified Tea Party supporter to her core? Does she espouse all that the tea party seems to present as their platform essence? Can any woman of color truly embrace the political paraphernalia of a party which has, arguably, been so harmful to her people? How would that person reconcile the juxtaposition of self-preservation, goals attained, personal development, security, and civic duty, and perhaps some unfairly-expected commitment to working for the betterment of people like them? Some people could be led to presume that someone is only in it for the money. Well, business is in business to make money. This is no secret. Ms. Pierson has, seemingly, been born to the role, in that she has paid dues for decades, in the arena of her chosen party. She has scaled the walls, and finds herself at the heights of a meteoric trajectory. Is it a simple matter of “live and let live”? Or a case of how can one live with one’s self, if by some chance, their work in the grand picture, could potentially harm others? History, morality and, perhaps, kharma will chronicle in the “book of life’, the significant details of a professional simply doing her job. Reaction to her appointment has been mixed, dependent on party lines.